Rather like the Financial Times in the UK, the Wall Street Journal in the US seems more able than many other papers to engage intelligently with the debate around the failure of prohibition and possible alternative approaches (not that I'm agreeing with everything said below, just highlighting the engagement). Maybe its something to do with the rational economist's perspective, the whole pragmatic cost benefit analysis thing, who knows. Regarding Mary Anastasia O'Grady's remarkably balanced column "Mexico Under Siege" (Americas, Feb. 25): If an increase in street prices is the definition of drug war success, perhaps we should strive for failure. The supply-side drug war provides artificial price supports for organized crime. For addictive drugs like methamphetamine, a spike in street prices leads desperate addicts to increase criminal activity to feed desperate habits. The drug war doesn't fight crime, it fuels crime. There is a middle ground between prohibition and legalization. Switzerland's heroin maintenance program has been shown to reduce disease, death and crime among chronic users. Heroin maintenance pilot projects are underway in Canada, Germany, Spain and the Netherlands. If expanded, prescription heroin maintenance would deprive organized crime of a core client base. This would render illegal heroin trafficking unprofitable and spare future generations addiction. Marijuana should be taxed and regulated like alcohol, only without the ubiquitous advertising. Separating the hard and soft drug markets is critical. As long as marijuana distribution is controlled by organized crime, consumers will come into contact with sellers of hard drugs like cocaine and heroin. This "gateway" is the direct result of a U.S. drug policy based on cultural norms rather than health outcomes. Note to government officials: If you are bragging about success because you seized a DC-9 full of cocaine, and because drug-related violence is up, then you are not losing the war on drugs. You have already lost. If you were winning then the opponents would never get to the point of buying a DC-9. It is long past time to recognize that the only beneficiaries of this country's war on drugs are the traffickers and legions of police who oppose them. As with alcohol, gambling and tobacco, a scheme of regulation and taxation combined with rehabilitation and punitive measures for those unable to use drugs responsibly would better serve our populace, as well as that of our southern neighbors. Kudos to Ms. O'Grady for pointing out some uncomfortable truths that the federal government and many of our elected officials are afraid to admit: The drug war is failing and prohibition has led to thousands of violent deaths in Mexico. It is shocking to think that more Mexicans died last year due to drug prohibition than did American soldiers in Iraq. There is nothing in the coca or marijuana plant that causes these deaths. Rather, it is prohibition that creates a profit motive that people are willing to kill for. Remember, when alcohol consumption was illegal in this country we had Al Capone and shootouts in the streets. Today, no one dies over the sale of a beer. It is time for an honest and open international debate about controlling, taxing and regulating illegal drugs so we can find an exit strategy from this unwinnable war. about this given the highly hazardous processing systems these people design, maintain and operate. Despite the obvious liability associated with having possibly drug-impaired individuals working with such hazardous materials, it was not until 1988 that our corporation initiated mandatory drug testing. You might be surprised to know that there was not a noticeable change in people getting fired or even going to rehab for drug use. For the most part, users recognized that their livelihood was now at stake and they quit. 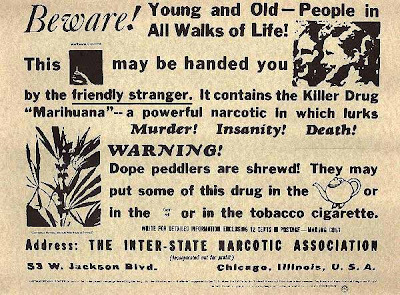 The so-called war on drugs of today is very similar to Prohibition of the 1920s-'30s. It has built multi-billion dollar criminal empires, made criminals of people who would otherwise be little more than dead-beat losers at worst, and corrupted large chunks of government and law enforcement in various places around the world, including here in the U.S.
Why not legalize drug possession/use (as long as it's not associated with another crime or DUI) for adults, while at the same time eliminating any legal barriers to discrimination against users by any entity, public or private, for any reason, or for no reason at all. This would remove the drug problem from the criminal justice system and address it by societal discrimination. When an arena of social policy is as politicised, emotive, and contentious as drugs, it’s hardly surprising that the Government message is subject to very intense media management. The need for such efforts is dramatically amplified when policy outcomes are as shockingly bad as they are with drugs policy, requiring a Herculean propaganda effort to present them in anything even approaching a positive light, and especially tricky when this propaganda is now subject to intense parliamentary, NGO, and media scrutiny. So when the new drug strategy was launched with a medium sized fanfare yesterday it was no surprise that a pretty comprehensive briefing was also circulated to relevant civil servants on how to answer likely questions from the media. It seems reasonable to try and make sure that everyone is on message, singing from the same hymn sheet and so on. A bit New-Labour-ishly controlling perhaps, but very much par for the course for a big departmental announcement about a complex policy issue. However, these briefings rarely emerge from their departmental bunkers, and for good reason. After all, you wouldn’t want the media to know all the answers in advance. That could be a bit embarrassing, and also run the risk of them coming up with some really tricky questions. So all the more surprising that the ‘restricted’ media briefing on the drug strategy was also circulated outside of the Home Office to various people and groups that, whilst centrally funded, most certainly are not Home Office types who will obediently trot out the party line as determined by slightly creepy 68 page Q&A briefings. There is no guarantee that the Government strategy diaspora will all take kindly to being told what to say, and they are not bound by the Masonic-like codes of silence that seem to grip departmental civil servants. With such documents presumably being bounced around 1000’s of drugs workers and bureaucrats, as well as a zillion or so Whitehall-bots, the likelihood of an anonymous, presumably peeved individual forwarding a copy to my inbox starts to increase rapidly. (Remember that a lot of people in the drugs field are just as angry and alarmed at the new drug strategy - and last year’s disgraceful consultation and review process as Transform). So you will be unsurprised to learn this is exactly what had happened before the sun had set on launch day. Still, we will probably have blog-fun with the rest of the briefing over the coming days if I have time. But here below is the prohibition debate section, unedited. But as is our privilege because its our blog, I have added commentary and references (in blue italics) which in true Home Office style I mostly cut and pasted from various other bits of 'on message' Transform text. So make sure you get it right - or else. Q: What’s the point on maintaining the pretence that prohibition works? Drugs are controlled for good reason – they are harmful to health. Their control is a necessary and legitimate means of protecting individuals and the public from the harms caused by their misuse. But they are NOT CONTROLLED. This is one of the strange Orwellian twists of logic we hear so often from the Home Office. Control of the £300 billion a year trade in dangerous drugs was abdicated to violent gangsters and unregulated criminal dealers when we bought into global prohibition back in 1961. (see below). The fact drugs are harmful is the reason why they need to be properly controlled and regulated within the law rather than left in the hands of an anarchic criminal free for all. Prohibition demonstrably maximises the harms associated with drug use as well as creating the disastrous additional problems associated with illegal markets. There are of course a number of legal drugs that are also 'harmful to health', highlighting the contradiction and hypocrisy that exists within it's own policy on 'harmful drugs'. Whilst prohibition has not eradicated availability, it has been a crucial element in restricting availability and keeping the level of drug use under control. UK drugs laws cannot be expected to eliminate drug misuse, there is no doubt that they do help to limit use and deter experimentation. Not only has prohibition failed to eradicate availability, drugs have become progressively cheaper and more available under prohibition. There is no evidence that punitive drug laws are an effective deterrent to use and plenty of evidence to show that they are a marginal or negligible factor in drug taking decisions which are largely determined by cultural and socio- economic variables. Drug use has risen consistently during prohibition, faster than any time in history. making the case for prohibition keeping drug use down it a tricky one. With most drugs, there is a direct relationship between the amount of use and the level of harm. As use increases, so does harm. If psychoactive drugs were to become legally available they would become easier to access and levels of use, and the resultant harms and cost to individuals and society, would expand significantly. There is overwhelming evidence that the widespread use of drugs results in enormous social harms and economic costs associated with that: the many thousands of drug-related deaths; the spread of HIV/AIDS and Hepatitis B and C through injecting drug use; and the mental health disorders associated with the use of drugs. For a more detailed discussion on the impact of drug law reform on prevalence see chapter 5 of 'After the War on Drugs Tools for the Debate'. Regarding the harms associated with injecting, significantly there is no HIV transmission or AIDS caused by any form of legal drug use. The use of prescribed heroin with clean needles is not associated with any HIV transmission, so let us be completely clear on this: drug related HIV transmission amongst injecting drug users is very specifically a result of prohibition and the use of dirty drugs with dirty needles in unsafe environments. The Home Office is here defending the policy that has caused the widespread misery and death it is simultaneously condemning, whilst criticizing those who propose proven approaches that entirely eliminate the problem (this thoroughly unpleasant argument was similarly pushed by Joseph Califano in the Financial Times and the BMJ recently - and duly shot down, by me as it happens). The most ridiculous part of all this is the fact that the Home Office know all this full well - to the extent that they are doing a Swiss clinic-style prescription heroin pilot in London, and are planning to roll the program out. This is actually mentioned in the new strategy. Bizarre. What do they think 'regulated supply of legal drugs' means? Q: What about the legalisation and regulation of drugs? The Government has been very clear that the new Drug Strategy would operate within the existing legal framework and the international conventions which underpin it. We have been unequivocal in our stance of having no intention of either decriminalising or legalising currently controlled drugs for recreational purposes. In response to the Home Affairs Committee report on The Government's Drugs Policy: Is It Working? in 2002, we stated that "We do not accept that legalisation and regulation is now, or will be in the future, an acceptable response to the presence of drugs". The Prime Minister reinforced this view when, on the 24 September 2007 to the Labour Party conference, he stated “that drugs are never going to be decriminalised”. A total non-answer. For some commentary on the Brown speech quoted above see here. Q: Drug misuse has risen exponentially since 1971, the year of the Misuse of Drugs Act doesn’t this mean that our drug laws and policies have been a complete failure? Crikey, these are good questions, its almost uncanny. Overall, the trend in drug use has been upward since the 1970’s, but has more recently stabilised and for some drugs has been falling, particularly cannabis. To suggest that the 1971 Misuse of Drugs Act or more recent drugs policy has been a failure is unreasonable, in part because it is not possible to ascertain what the situation would otherwise have been should the Government of the day or successive governments taken an alternative approach. Data from both the British Crime Survey and the Schools Survey show that drug use is falling, while Class A drug use is stable. Q: Isn’t it about time that we reviewed the entire Misuse of Drugs Act 1971, not just the classification system? At its irreducible core, the 1971 Act is the means by which we transpose into domestic law our international obligations as a signatory of the 3 United Nations conventions on drugs. The principle purpose of the 1971 Act is to set out the offences of possession, supply, production and trafficking for illegal drugs. Nothing to do with the question. And what is the 'irreducible core'? As we have absolutely no intention of changing our position in respect of these offences, a review of the 1971 Act would be redundant. The 1971 Act continues to provide a coherent legal framework. Again, a total non-answer: we wont review it because we don't plan to review it. Laughable. Q: The Government should acknowledge that prohibition has not worked. Isn’t the only sensible alternative is a regulated market? Legalisation and regulation of drugs will never be an appropriate response. Drugs are controlled for good reason – they are harmful to health. Their control is a necessary and legitimate means of protecting individuals and the public from the harms caused by their misuse. This type of alternative system – regulated supply - would not safeguard these very real public health interests, nor necessarily significantly undermine international organised crime. How would taking control of the market in dangerous drugs away from gangsters and unregulated street dealers, bringing it within the law and subjecting it to strict legal regulation not 'safeguard these very real public health interests'?. And how would removing a 300 billion pound profit opportunity fail to significantly undermine organised crime? No answer is actually provided. The benefits of such as system - such as taxation, quality control and a reduction on the pressures on the criminal justice system– are far outweighed by the costs and for this reason, it is one that this Government will not pursue either domestically or internationally. Note, and this is important, The Government is clearly acknowledging benefits of legalisation and regulation of drugs, specifically financial and in terms of crime reduction. So can we assume from this that if we can persuade them about the completely spurious increased health harms thing then the game is up? Q: The Government is using the argument that decriminalising illegal drugs “would send the wrong message to the majority of young people.” Isn’t this is simply a convenient excuse? Legalisation of currently illegal drugs would run entirely counter to the HM Government’s health and education messages. Our educational message – to young people in particular – is that all controlled drugs are harmful and that no one should take them. To legalise their supply for personal consumption would send a disastrous message to the majority of young people who do not take drugs, with the potential risk of increased drug use and abuse. Note how there has been a shift from legalisation causing drug use to 'expand significantly' in the previous answer, to here there just being 'a potential risk of increased drug use and abuse'. I'm not convinced they've thought this through. On the subject of messages, in what other area of public health policy is heavy handed enforcement of criminal law and mass criminalisation of young people used as the primary tool to send out public health messages? Surely the stunning failure of this approach in drug policy (which has witnessed consistent rise in overall drug use, especially of the most dangerous drugs, for two generations) should prompt a pause for thought. Maybe there is a better way to educate the public about the dangers of drugs and encouraging responsible lifestyle choices, through, for example, established public health education channels. Our drug laws and educational measures complement each other. In isolation their impact would be diminished. Rubbish. Produce a single piece of research that shows spending a pound on enforcement delivers better educational and public health outcomes than a pound spent on evidence based, targeted public health education and prevention and I will eat my DARE baseball cap. Spending on counterproductive enforcement measures starves funds from public health initiatives that actually work. Q: Wouldn’t legalisation surely reduce drug related crime? We cannot look at any putative benefits of legalisation in isolation from its costs. If drugs were legalised, it is important to remember that there is other crime associated with drug misuse, for example crimes committed under intoxication. Crimes committed under intoxication are not being legalised - the legal status of the intoxicant is irrelevant. The legalisation of drugs would not eliminate the crime committed by organised career criminals; such criminals would simply seek new sources of illicit revenue through crime. Obviously it is ridiculous to imagine they will all ‘go straight’ and get jobs in McDonalds, or selling flowers, but it is equally absurd to suggest they will all embark on some previously unimagined crime spree. Clearly the impacts will differ at the various levels of the criminal infrastructure and, since reforms will be phased over a number of years and not happen overnight, criminal drug infrastructures will experience a twilight period of diminishing profit opportunities. Undoubtedly some criminals will seek out new areas of illegal activity and it is realistic to expect that there may be increases in some areas, such as cyber-crime, extortion or other illicit trades (counterfeit goods etc.). However, crime is to a large extent a function of opportunity, and it is impossible to imagine that there is enough criminal opportunity to absorb the manpower currently operating an illicit drugs market with a turns over somewhere in the region of £300 billion pounds a year globally, or over £10 billion a year in the UK alone. Even if there is some diversion into other criminal activity, the big picture will undoubtedly show a significant net fall in overall criminal activity. Getting rid of illegal drug markets is about reducing opportunities for crime. This concern is a curious one because it seems, when considered closely, to be advocating prohibition as a way of maintaining illegal drug empires so that organised criminals don’t have to change jobs. By contrast, from our perspective the argument is about removing the largest criminal opportunity on earth, not just from existing criminals but, significantly, from future generations of criminals. Ending prohibition holds the prospect of diverting millions of potential young drug producers, traffickers, and dealers from a life of crime. Neither would a regulated market eliminate illicit supplies, as alcohol and tobacco smuggling demonstrate. The illegal market in smuggled tobacco is the direct result of taxation policy – specifically the large international differentials in tobacco tax that create a huge profit opportunity for smugglers. For example, tax rates on tobacco vary from zero % in Andorra, to several hundred % in the UK – a far greater range than almost any other mass consumer product. If tobacco taxes were reduced domestically, the international differential and profit opportunity in smuggling and illicit sales would fall accordingly; where there is no tobacco tax there is no smuggled imports or illicit sales. Higher taxes, however, mean higher prices which can effectively dissuade potential new users and encourage existing users to quit, just as falling prices can have the opposite effect. The Government has the difficult task of using taxation policy to balance these two conflicting needs (dissuading use / undermining illegal activity). Crucially, though, because tobacco is legal and regulated, governments are in a position of power to intervene on price, an impossibility with illegal drugs that are entirely at the whim of supply and demand in an unregulated criminal market. It is also worth noting that most smuggled tobacco is at least legally produced in the first instance. Regulation also carries its own administrative and enforcement costs. Unless drugs were freely available to everyone, including children, it would not be possible to stop the illicit market operating at the margins of any regulated system. Q: The Government rejected the call made in the House of Lords by a number of eminent peers for an Independent Commission to be established, to review policy on drug control. Is this right? The Government sees no need for any such commission. The United Kingdom is a signatory, along with almost all other countries in the world, to the three United Nations anti-drugs Conventions and legalisation would breach those Conventions. The Government participates in debates in the UN Commission on Narcotic Drugs, which keeps under review global strategies for dealing with drugs on a global basis. The position the Government takes in these debates is, and will continue to be, consistent with our domestic legislation and international obligations. This is another one of those bizarre non-answers that only a minister can really deliver with a straight face; we don't need a commission on the drug laws because we have drug laws. What? The CND has never and will never review the efficacy of global prohibtion, as it exists to solely to maintain it. Q: Isn’t the Government hiding behind its “international obligations” in relation to any move towards decriminalisation or legalisation? Drugs are a global problem; very often they are produced in one country and consumed in another. A co-ordinated international response is vital in our commitment to tackle drug misuse. The UK is a signatory to the UN Convention on drug control and takes its international responsibilities very seriously. Legalisation, even for a few drugs, would cause substantial damage to international relations and diminish the UK’s standing amongst our international partners. We have no intention of breaking our obligations. So that is a pretty emphatic 'yes'; Geopolitics is more important than domestic policy. Some honesty at last. Vaguely reminiscent of that BAE Saudi corruption business? Unilateral action by the Government's towards legalisation would undoubtedly encourage drug tourism as the Dutch have discovered and they are exploring ways to tackle that problem. Don't do it unilaterally then. There's widespread dissatisfaction with the strictures of global prohibition across Western Europe and beyond, and moves towards reform will be led by a coalition of reform oriented countries. The drug tourism argument is so marginal as to be irrelevant. Dutch drug policy is based on tolerance not legalisation, and there are no plans to abandon the approach, which has been conspicuously more effective than that of the UK. Q: Doesn’t the Government have room for manoeuvre on legalisation of the possession and use of drugs under the United Nations Conventions? The United Nations Conventions oblige us to adopt the offence of possession. However, the legal framework within which this the possession offence in the Misuse of Drugs Act 1971 sits is a lot more subtle than it first suggests, allowing both the police and the judiciary the discretion to take into account all the circumstances of the offence. Thats all for now. But if you really want to get to grips with this debate please do take look at the guide we have produced specifically for the purpose; After the War on Drugs - Tools for the Debate. It covers everything here and more in plenty of detail. The following article is in todays Guardian online Comment is Free. Theres an open debate taking place below - the usual CIF knockabout stuff. There was also an abridged 'teaser' version in the Guardian print edition. Despite the headline-grabbing new announcements, the new drug strategy is essentially a restatement of the previous one, and doomed to perpetuate the same disastrous failings, primarily because - as Paul Flynn observes - it remains dogmatically rooted in the outdated principles of a punitive prohibitionist approach. The big new initiatives on seizures of criminal assets, and linking benefits to treatment uptake, will operate at the margins of the strategy and will not have any meaningful impact on overall efficacy. Asset seizures are nothing new and the move to seizures on arrest, as opposed to charge or prosecution, is quite simply illegal and unlikely ever to happen. The strategy's target is to raise asset seizures to £350m a year - a minor tax on the £7bn a year UK illegal market's turnover, even in the doubtful event of it being achieved. Notwithstanding the fact that it is the prohibition that creates the assets in the first instance, there is no evidence that asset seizures are a significant deterrent to the violent gangsters who control the trade (although the US experience demonstrates how linking seized funds to policing budgets or service provision can corrupt and distort policing priorities). Linking benefits to uptake of treatment provision similarly bears the hallmarks of populist posturing. The reality is that, in any one year, the vast majority of problematic users are not ready or willing to stop. Coercing the least able or willing is offensive to most people's definition of treatment (despite the treatment industry's collusion with it), and its results no better than non-coerced interventions. Obvious concerns arise that the policy might lead to the withdrawal of benefits from some of the most desperate and needy members of society, most of whom already suffer multiple problems with mental health, housing and employment. The negative consequences could be serious: increased offending, increased social exclusion and decreased likelihood of engagement with treatment and support services. The new strategy restates a series of highly misleading claims for the success of the previous one, based on misrepresented and cherry-picked statistics, or process successes that have no bearing on policy outcomes. The inability of the Home Office to tell the truth about what has worked, and what has not, is at the heart of the problem with the new strategy; there has been no critical analysis of past failings and no serious engagement with any new policy ideas or alternative approaches. Indeed, no policies were presented during last year's consultation on which to consult, certainly not the headline initiatives announced today. Forget the mature debate about legalisation and regulation that the Home Affairs Select Committee (including David Cameron) called for back in 2002. Nowhere in the consultation was there even any mention of the less contentious incremental reforms that have an extensive evidence base from around the world such as moves to civil, rather than criminal, penalties for drug possession, or proven harm-reduction measures such as supervised injecting rooms. The strategy's most alarming failings are in the arena of supply-side drug control, where the Home Office claims of success have been the most outrageously misleading and the restatement of previous policy in the new strategy the most alarming. As Transform has repeatedly highlighted, a number of high-level internal documents, along with a whole series of authoritative parliamentary, academic and independent NGO analyses have demonstrated that not only are supply-side interventions hugely expensive (£3bn a year) and ineffective (drugs are substantially cheaper and more available than ever before), they are actively counterproductive - creating £16bn a year in crime costs. Assuming government maintains its commitment to prohibition, crime costs could approach £200bn over the next decade. Can we assume ignorance on the government's part with regard to the counterproductive nature of their policy at home and abroad? Absolutely not. In June of 2003, the cabinet was presented with the PM's Strategy Unit drugs report, which informed them in devastating detail that supply-side enforcement was the major cause of drug-related harm, not only in the UK, but in Afghanistan and Colombia, too. The new strategy demonstrates, yet again, how evidence and sound analysis have become the latest casualties in the ongoing war on drugs and drug users. note: this version is an edited version of what I submitted. The title and subheading are by the Guardian editor. Amid all the hype about the government's new 10-year drug strategy, does anyone remember that the last one failed? Below is Transform's press release on the new drug strategy. By necessity it is quite sound bite-y but for those interested there are links to further analysis in the notes to editors. We will publish a commentary on the document when we have seen the detail at some point tomorrow. The UK Government’s new 10 year drug strategy, and three year action plan, is published tomorrow (Feb 27th). 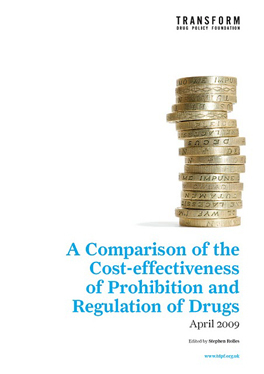 Transform Drug Policy Foundation, the UK’s leading centre of expertise on drug policy and law reform, have highlighted how, despite £30 billion being spent on drug enforcement during the last ten year strategy, crime costs of over £100 billion have been accrued. Lessons from these failings have been ignored by the new strategy. “The new drug strategy arrives after ten years of disastrous policy failure, yet during last year’s sham consultation and review process the Home Office utterly failed to acknowledge failure or meaningfully engage in a debate on policy alternatives. Instead, success has been claimed with a shameful parade of cherry picked statistics and Home Office spin. “In stark contrast, documents the Government attempted to suppress clearly demonstrate that they have known about the counterproductive nature of supply side drug enforcement for many years, yet continued to pour money into it – something in the region of 3 billion a year – despite the knowledge it was contributing to a further 16 billion year in crime costs. “This deception and lack of rational debate and engagement with reality, has meant we now have a new drug strategy shaped by political needs rather than any evidence of what actually works. This political posturing and moral grandstanding means we face the prospect of tens of billions more being wasted on counterproductive supply-side enforcement initiatives over the next ten years, resulting in literally hundreds of billions more in crime costs. Tragically, the new strategy is nothing more than a miserable regurgitation of past mistakes with a bit of cosmetic spin and window dressing. Its prospects of having a meaningful impact on drug related harms to individuals and communities are zero. They are playing politics with peoples lives. “The first step, if there is any hope of drug related harm being reduced in the long term, is for the Government to start telling the truth. This means acknowledging the failure of a predominantly enforcement led approach and beginning to shift the emphasis of policy towards proven public health led initiatives. This will involve investing money in education, prevention, treatment, and addressing the social deprivation that underlies most problematic drug use – instead of yet more heavy handed police and military enforcement that only serves to make drug problems worse, fill our prisons, and maximise drug harms. Transform forward notice briefing on the drug strategy (pdf); providing the historical and political backdrop for the new publication, a description of its likely contents, critique of Home Office claims of success, details on suppressed documents, along with detailed notes and links to further information. Transform briefing on the drug strategy 1998-2008: the evidence un-spun; a detailed analysis putting Government claims for success under a critical spotlight. Media fact research guide; headline statistics and links, along with some commentary and critique, on a variety of statistics drug related topics including drug useage, drug crime, social and ecomics costs of drug use, prison population, drug prices, drug deaths, and the sioze of the drug market. The Prime Minister’s strategy unit drugs report, presented to ministers in 2003 (including Gordon Brown), and leaked to the media in 2005, demonstrates the historic failure of attempts to reduce drug supply and clearly explains why they will not be any more effective in the future. The report goes on to show that even if supply side interventions were more successful, the result would be increased prices that could force addicts to commit more crime to support their habits. Context: The following was delivered on the morning of Feb 5. 2008 to a UN-sponsored Conference called "Beyond 2008" the theme of which was (roughly) "How can we, the UN, help you, the voluntary sector in Canada, more aggressively and effectively prosecute the global war on drugs?" - which assumptions provoked a good deal of ire and scorn, particularly from those NGOs who find themselves cleaning up the destruction of the war on drugs. I held my peace for the first day, which featured a number of questions concerning process by which the NGO community and the UN might better collaborate on (eg) the eradication of cannabis in Canada, but delivered the following on the morning of the second day. I was the first speaker and when I finished I snapped my laptop shut and exited the conference centre . to rousing applause. I did my homework last night and it re-affirmed in me my conviction that Canada ought to renounce the UN Drug Conventions. The Conventions embody a particular model of human nature which presumes that human beings can be threatened or punished into good behaviour, that general deterrence works. This model is a philosophical a priori: it cannot be refuted by evidence because it is grounded in late-Victorian ideology and carries with it all the classist, sexist and racist implications associated therewith. The John Howard Society - on the basis of our long experience working to re-integrate former prisoners - finds this ideology unpersuasive, counter-productive, destructive and contradicted by evidence and experience. In Canada, controls or legislation introduced to fulfill the obligations of the Conventions have been a disaster for people with mental health and/or addictions. Adherence to their punitive requirements has brought about the unnecessary criminalization of thousands of non-violent young persons - many with mental illness -- and the resulting incarceration has negatively affected these persons, their families and communities. Thousands of otherwise law-abiding persons must live out their lives with the stigma of a criminal record -- which stigma is far more damaging for the future course of their life than any experience with psycho-tropic drugs. The Conventions have, however, been good for organized crime, nationally, regionally and globally and its symbiotic twin, law enforcement. When organized crime thrives, so do the bureaucratic interests of the law enforcement apparatus. To the extent that Canada's drug control strategies have historically inclined toward supply suppression, the Conventions have been good for this symbiotic alliance. For NGOs, the impact of the conventions varies according to whether an NGO either draws resources and legitimacy from the Conventions - and the war on drugs generally - or works to clean up the social and human destruction caused by the drug war's utopian pursuit of the unachievable. The negative impacts of the Conventions tend to fall heaviest upon people who are largely voiceless, illiterate, incarcerated, mentally ill or who - in many cases - simply had the temerity to chose bad parents. The obligations of the Conventions are un-realizable in practice, a fact acknowledged even by those who publicly endorse them. Prohibition and criminal stigmatization makes the best the enemy of the good. The attempt to make the Conventions work amplifies the harm that is already associated with drug use and abuse by turning manageable public health issues into expensive and intractable criminal justice issues. The "discretionary measures . provided for in the convention" are emasculated by the overarching principle of prohibition and criminalization. Where available discretionary measures are starved for resources or maintained on a short leash and under the unrelentingly hostile scrutiny of the INCB, the White House Drug Czar and associated apparatus. Where most urgent - in Canada's prisons where HIV and Hep C are epidemic - evidence-based harm reduction measures, permitted by the Conventions, are thwarted by a deficit of political courage. We need to re-regulate the production, distribution and consumption of currently illicit drugs. Starting with cannabis - which is 75% of the global war on drugs - we need to take the regulation of all illicit drugs under the direct control of the state rather than - as we currently do - delegating it to the contest between organized crime and police agencies of the state and international system. Prohibition, as required by the Conventions, is a policy choice to criminalize large numbers of otherwise law-abiding people and to thereby provoke into flourishing a global criminal underworld. It is the cure that is worse than the disease. Prohibition is not a law of nature - like gravity -- it's a dysfunctional and destructive form of harm maximization that benefits only organized crime and police agencies. Is three billion a year on enforcement good value for money? According to the Governments own reviews they have been spending something in the region of 1 to 3 billion a year on drug enforcement (depending on how you measure it) - preventing the supply of drugs - with the express aim increasing the price of drugs as a way of deterring use. Increasing the price of drug may or may not deter use to the degree they suppose but that has been the plan. The particular target has been the two drugs identified by the Government as 'causing the most harm': heroin and cocaine. The big plan back in 1998 was to have reduced availability by 50%. By this week as fate would have it. Mr. Coaker: The information requested is shown in the following table. So heroin and cocaine prices have almost halved - having spent 20 billion of so on attempts to increase them. During the same period of time the UK has achieved the dubious position of number one in Europe for both heroin and cocaine use, the latter of which has doubled, the former plateauing at a historic highpoint since 2001. Oh, and we have a disaterous crack epidemic which we didn't have back in 97. Miserable news indeed. Not that you will hear the Home Office talking about it next week; it is unlikely to feature high in their press releases for next week's big new strategy launch, which will be awash with the familiar propaganda about how great its all gone and some earnest talk about not resting on laurels and needing to do more. Interestingly this price drop means that the country's growing population of problematic heroin and cocaine users (who are, thanks to the illegal market distribution networks, largely superimposed) don't now have to commit quite so much crime to buy their drugs. As a result drug related crime may have fallen slightly. We cant be sure about this since 'drug related crime' isn't actually measured, as a number of other parliamentary answers have made very clear (more discussion here). We will, however, hear a lot about this (unmeasured) fall in 'drug related crime' this week from the Home Office, credit for which will be give to the Government's new drug treatment programmes even though there is no evidence to suggest this is the real reason - the evidence of treatment outcomes is actually pretty terrible, with over 80% re-offending within two years. But the drop in crime is much more likely to be a fortunate side effect of the utter failure of that cheeky 20 billion or so in supply side spending to increase drug prices. Cheaper drugs mean less crime committed by dependent users. Take this to its logical conclusion and you get; free drugs means no crime committed by dependent users (well, not to buy drugs anyway). Even though prices have been falling let us not forget that prices of heroin and cocaine are still inflated by over 3000% because of prohibition - turning low value processed agricultural products into criminal commodities literally worth more than their weight in gold. Still, given that 30,000 or so high harm causing dependent users are responsible for over half of all property crime, accruing something in the region of 16 billion a year in crime costs the idea of expanding the facility for controlled maintenance prescribing starts to become rather more appealing. Spending 3 billion a year to create a further 16 billion in crime costs just doesn't seem like great value for money. Maybe we should be having a serious debate about the policy alternatives instead of the sham policy consultation we were subjected to last year. Maybe if we invested that 3 billion in evidence based public health interventions: prevention and education, treatment, helping people rebuild their lives, addressing the social deprivation that underlies most problematic use and so on - then the number of problem users might actually start to fall, and if we took the illegal market out of the hands of gangsters and street dealers and brought it within the law then some of the terrible harms it creates might be reduced. How bad does it have to get before we have a serious debate on policy alternatives? A good to start would have been for the Home Office to tell the truth about what's working and what isn't. But don't hold your breath during the new strategy launch this week. It will be a miserable stage-managed regurgitation of the old failed strategy with a bit of cosmetic window dressing. No debate, no new ideas, no change, no hope. Transform are available for print and broadcast comment and analysis: please contact the Transform spokesperson Steve Rolles on 07980 213 943, or the Transform Office on 0117 941 5810. A series of reports at the highest levels of Government (that despite attempts to suppress them have found their way into the public domain) reveal that the Government has long been aware of the fact that current enforcement policy is both extremely expensive and demonstrably ineffective – often creating or exacerbating many of the harms it is supposed to be addressing. These reports include a 2003 report commissioned by Prime Minister Tony Blair from the Number 10 Strategy Unit (leaked to the Guardian in 2005), and Treasury Comprehensive Spending Review reports on the drug strategies effectiveness , one of which has recently been released following an FOI request from Transform, (see ‘suppressed reports’p.11). Policy development including the new strategy has systematically prioritised populist political agendas over the detailed and rational analysis and recommendations emerging from not only the Government’s own departmental reports and cost benefit analyses, but also work from a series of high level independent, NGO and parliamentary bodies. These include reports from The Police Foundation (2000), The Home Affairs Select Committee (2002), the Prime Minister's Number 10 Strategy unit (2003) , The Science and Technology Select Committee(2006), The Advisory Council on the Misuse of Drugs(2006) and the RSA commission on Illegal Drugs, Communities and Public Policy (2007). 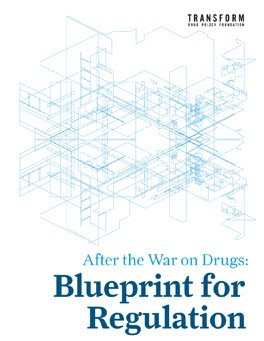 The inevitable outcome has been a new drug strategy shaped by political prerogatives rather than what everyone in the drugs field had hoped for: a meaningful evaluation of ‘what works’ and an honest, open and rational analysis of the various policy options. Withholding vital research, and instead hiding behind spin and propaganda is in no one’s interest, regardless of ones position in the drug policy debate, and can only lead to the perpetuation of failure. I attended the ACMD cannabis classification hearings on February 5th. There were 23 speakers in all, representing opinion and expertise from a range of fields relevant to the issue (see the whole list here). There were speakers from mental heath charities (Rethink and Sane) , a range of speakers on cannabis potency, cannabis and mental health, cannabis and lung damage, cannabis and driving, cannabis policy and law, as well as parents of cannabis users. It was comprehensive to the point of tedium; I was there for the whole occasionally interesting but generally rather miserable day and if there is a condition called power point induced psychosis, I was in danger of suffering it by nightfall. It was also in the grisly Excel conference center in the middle of nowhere, a magnificent 25 tube stops from my house. There was even more evidence heard away from the public eye the following day (apparently unpublished draft research not for public dissemination), and of course the ACMD itself represents a considerable body of expertise. On top of all this were the written submissions from the speakers, and many others besides, which constituted four terrifying inch-think black ring-bound volumes. The committee (of around forty) spent three days in session and were expected to have read through all the written submissions in advance. It didn’t strike me a trifling exercise. By contrast, reading an account of the ACMD hearings by David Raynes, old Transform sparring partner, occasional blog contributer, and representative of the NDPA, you would be excused for thinking the entire event was some sort of illuminati style plot, staged by a corrupt committee whose mind was already made up, and that the ACMD chair was guilty of ‘loading the witnesses with legalisers’ as head of some sinister pro-pot conspiracy (as also espoused by Melanie Philips in the Spectator ) . In the short term the ACMD maintain their long held position that cannabis should be a class C drug under the current system. That the ACMD deliberations consider the specific harms created by prohibition and enforcement and the punitive criminal justice approoach more generally, and disentangle these from the harms created by drug use per se. Specifically; prohibition related crime, the mass criminalisation of young - often vulnerable - individuals, and the exacerbation of drug harms to users (when produced and supplied through illicit channels). Proffessor Lenton from Australia, according to Rayne’s account a co-conspirator of mine in perverting proceedings (‘is Lenton a closet legaliser cloaked in fine words, hiding his real intentions?’), spoke about the impacts of the civil penalty scheme in Western Australia, contrasting its impacts with other states that maintain the more familiar criminal penalty approach to cannabis offenses. His clearly made conclusion: that there were no obvious benefits but measurable social costs to the criminal penalty approach, was fascinating but in no way a call for the legalisation and regulation of cannabis markets, or even a discussion of it. It usefully demonstrated how a return to arrest and prosecution for cannabis possession did not suggest the prospect of positive criminal justice or public health outcomes. Lenton advocated a public health approach based on effective targeted education and prevention. It all seemed pretty sensible and uncontroversial stuff, and he was the only speaker to get a round of applause. Rayne's disappointingly condemns Lenton by association (with some people he apparently doesn’t like or agree with), and questions why he was a speaker at all. Perhaps it was because he is a respected professor, extensively published academic expert on the subject and leading thinker in the field who can bring some international perspective to the debate - which has become somewhat blinkered and parochial over here in the UK? Or maybe because he is Soros-funded pro-pot Aussie infiltrator hell bent on corrupting the youth of Britain? You tell me. or mothers of problem cannabis users – like Helen Sello (who was in the audience but not given a platform) – who think that a punitive criminal justice approach is entirely counterproductive and the focus should be on public health education. But let’s be clear: I didn't talk about legalisation, Lenton didn't talk about legalisation. The legalisation question was barely touched on, only being alluded to briefly on a couple of occasions during the day, with references to the Dutch tolerance model (which isn’t technically legalisation anyway, and besides was raised by the Speaker from SANE who advocated a move back to B). Legalisation was barely mentioned for one simple reason: for better or worse this was a discussion about cannabis harms and classification harm rankings. Much as I think the ACMD should hold a similar session looking at the legalisation/regulation debate - this wasn't it. The proposed change in harm rankings and associated change in related penalties is nothing to do with the legalisation debate - why I found Rayne's piece especially baffling. If some of the defenders of the status quo saw reclassification as the first crack in the citadel of prohibition from the ‘pro-drugs lobby’ (?) that's their business, but it is a view non-congruent with reality and nothing whatsoever to do with what was being discussed on Feb 5th. I’m not paranoid enough to think it was a conspiracy of course, but myself and Prof. Lenton had our presentations timed for the end of the day so all the journalists had left to go and fill their copy before the evening deadlines and we achieved (a very non-sinister) zero coverage the following day. I probably should have done a press release, still, I did get an invite to go on radio Five Live the previous night but couldn't make it. There was a lot of journalists there but, rather like Raynes, you sensed many had arrived not to really listen and analyse, but rather to filter the day’s information to fit a preconceived narrative, or just trawl for the juiciest panic headline. When skunk or psychosis was mentioned all the journos seemed to perk up and start scribbling. The coverage ranged from OK (the Guardian) to dismal (the Daily Mail), mostly focused on an morning presentations about the proportion of ‘skunk’ now found in police raids, reported to be 70% - 80% (not that police raids necessarily represent the market but anyway). The suggestion made by myself and others that the economics of unregulated markets was fueling this increasing prevalence of stronger cannabis went unreported. The Times won the bad reporting oscar, scraping the tabloid barrel (not for the first time) with a ludicrous bit of sensationalism, leading, on its front page with the headline that ‘Cannabis dealers prey on Hospitals’, stemming from one brief comment from a speaker on cannabis and mental health treatment. It probably warrants a blog all of its own, but needless to say, Rethink and others have identified and talked about this (completely non-shocking nor surprising) issue for years. One theme I noticed throughout the day, even amongst the many speakers who wanted to see cannabis moved back to B, was a desire not to see more young people criminalised. Whilst welcome it seemed odd, given that the result of a move back to B would achieve precisely this, but there it was, from ACPO, from several of the Mums, from the Magistrates representative, and even from David Raynes. Yet it is also an unavoidably contradictory position and one that highlights the wider problems with a classification system that ties the harm rankings to a hierarchy of penalties. The only logical solution would appear to be what the Science and Technology committee recommended and ‘decouple’ the classifications from penalties in some way, but quite where this would lead isn’t clear. The ABC system is built around and exists to establish the hierarchy of penalties and doesn’t really serve any other useful purpose; it offers no practical public health benefits in terms of education, or if you like ‘sending out messages’, (even ‘unequivocal’ ones). It was a point raised several times in the day, not least from me; that there’s no evidence that changes in classification have any impact on use or overall harm. The obvious answer for those who want to send out honest and effective messages about cannabis risks, especially if they are increasing (which I think we can safely assume includes everyone) is to use proven public health education and targeted prevention strategies. The B/C debate seems entirely pointless, and as Rethink pointed out, is a distraction from the more important challenges around how best to address the harm cannabis can cause. I don’t think for a second that the ACMD will change their views in cannabis classification, but not because the evidence sessions were inadequate or manipulated by the evil pro-pot legalisation lobby, but rather because the ACMD don’t think there is significant new evidence on cannabis harms to emerge in the last 2 years that changes their long held view that it should be in Class C based on relative harms. Not harmless, just less harmful than say, amphetamines. The evidence at the hearings was comprehensive and mostly excellent, but I genuinely don’t think there was anything on the table that wasn’t there 2 years ago. If the committee seemed occasionally exasperated then that’s probably why, we are talking about 40 very busy and highly trained people spending 3-4 days of their own (unpaid) time on what was essentially a pointless political exercise. What the Government will do when the ACMD report back in favour of Class C is hard to say. To go against the ACMD would be unprecedented and leave them horribly exposed as populist and unscientific, with any last vestige of us having an evidence based drug policy in tatters. The Government after all hand picked the ACMD in the first place. So I suspect the ACMD call will be used as an opportunity to step away from the debate again with moral credentials intact probably in tandem with an announcement on a big education push cannabis risks to show they are ‘doing something’. In the meantime cannabis users will carry on using, the unregulated illegal market will carry on making lots of untaxed profits for often unsavory characters whilst maximising harms, and all the moral grandstanding, tabloid scaremongering political posturing – that has been going on for longer than I’ve been alive - will have got us precisely nowhere. Maybe now we can have a debate about models for the legal regulation of cannabis, based on evidence of effectiveness, proven harm reduction initiatives and established public health principles? Or maybe not.